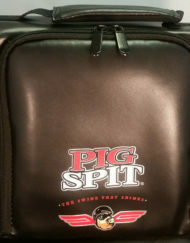 Pig Spit improves the appearance of motors, transmissions, trim and components. Pig Spit restores dull or faded surfaces. Available in 9 oz. cans. Case of 12 cans.